I think my blood sugar is all over the place and I haven't really been testing it regularly. I need to get better control I think but when should I check my blood sugar levels because I'm not really sure how often or when is best? First, let's just recap normal blood sugar levels so you know what to aim for. You want to aim for 70-110 (4-6.1) fasting or before meals, and under 140 (7.8) after meals. Here are the charts and if you need a downloadble chart of your own, Click Here for our free downloadable chart. Most diabetes organizations recommend you test at least 3-4 times per day. But it's even better if you test more, at least until you get good control of blood sugar levels. If your blood sugar is currently uncontrolled or you want to gain better control here is a testing strategy to get you moving in the right direction. 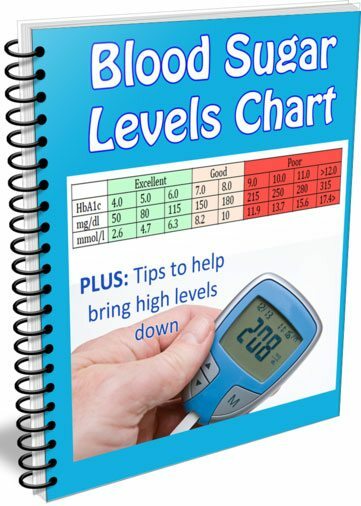 This strategy was adpated from author Jenny Ruhls – Lower Your Blood Sugar book, and it's a method that has been used effectively by many people to successfully get better control of blood sugar…meaning THIS WORKS! 2. 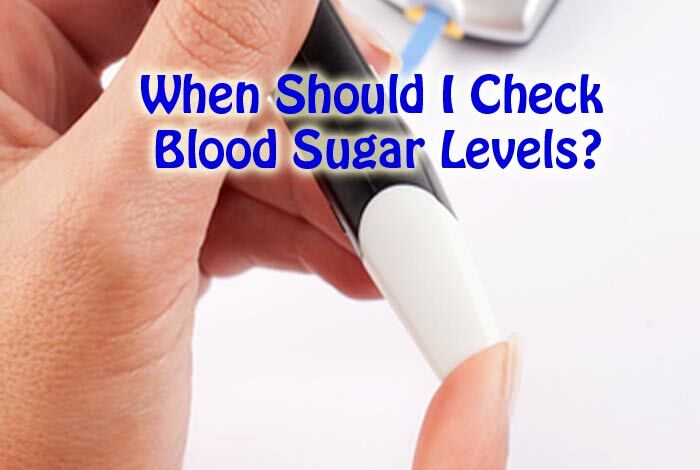 Test your blood sugar level upon waking, then test 1 hour after meals, and 2 hours after meals as well. Write down all your readings and make a note of when your highest reading comes and how long it takes for you to return to normal. This will differ for everyone so you want to know when your own individual high level comes. It's not typical to test 1 hour after meals but testing 1 hour after eating will give you the most accurate portrayal of how a food affects you. Although it is normal to ‘spike', not spiking is a goal for diabetics, or at least minimizing the peak and keeping your levels more on an even keel is what you want to do. You don't have to keep testing twice after meals, but at first it does help you get a good indication of what your body is doing. 3. Take a note if you have any extra high readings. If you do, do these coincide with certain foods such as a meal with bread, pasta, or other dense carbohydrates? What you will begin to notice is certain foods that are making your blood glucose levels higher. So this practice is really all about bringing more awareness into your eating routine so you can discover how you react and control your blood sugar level better. This is important because some people are more carbohydrate sensitive than others. 4. To lower blood sugar levels, focus on reducing carbs, and choosing the right carbs. Keep testing and see what happens. You will notice that your blood sugar levels start coming under better control and this is what this process will help you do. Stick to eating around 50-80 g of carbs per day (read about that here and here, and eat a whole foods anti-inflammatory low carb diet plan as outlined in this food list. Then, once you get your sugars under control slowly introduce other foods (more/different carbs) to see if they make you spike. Focus on the things you CAN have and then introduce the things you're not certain about. Yes, it might be a bit of work and quite a bit of monitoring, but if you want to avoid complications and live a healthy life, it really is worth the effort. Great advice on using the MyFitnessPal app. I only started using it a few days ago & love it. Much easier and probably more accurate calculating of nutrients in all the foods. I did notice though that the suggested carb/protein/fat ratios are different in the app than they are on this plan. They are also different than the ADA guidelines. My insurance pays for just 1 strip a day because I am pre diabetic. I bought generic strips at the pharmacy 50/$9 so I can test more. I also paid for a VIP membership here. It seems work and expense but very worth it as an investment in health. Thank you for all your helpful ideas, I am type 2, have cut out carbs and Sugar and although my sugar levels are more or less the normal level of a non diabetic I’m still classed as being diabetic as my HBA1C at my last test was 6.5%. I am helping myself by diet alone, so your food guide is perfect thank you . Sue I have seen your note. I am a type 2 also and will appreciate if you would help me to control my sugar levels, diet alone? tell me about it. HI Felix, Sue followed our diet food list over here. You can also find some great info to help you get started over here. I want to know why on a fasting (waking after a sleep of 6-8 hrs ) my sugar testing is between 13-15? I drink only water upon waking and stil get high readings… it’s so depressing ? Is it me or could there be a fault with my sugar testing machine (acue check)? It’s a common issue Samantha so don’t stress or get too upset. Take a look over here for some great info on why it occurs and how you can help reduce it. That is just the type of info I have been looking for…realy explains alot…thanks heeps! Instant access? Doesn’t seem like it. Its been 15 minutes and nothing has happen in my effort to download your offered chart. Just as spinning wheel.